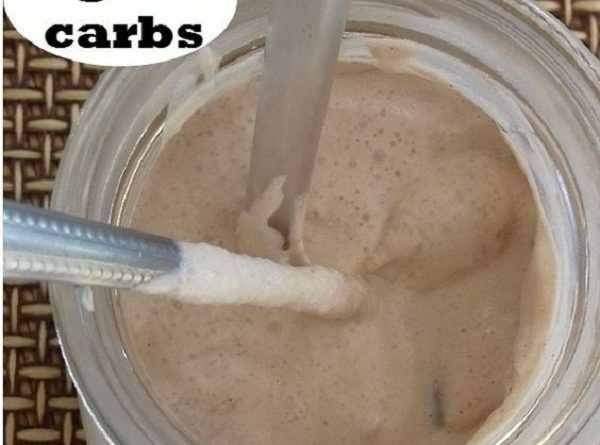 Just 3 minutes separates you from this amazing, cold, coffee creamy keto frappuccino. Creamy texture and the real coffee taste will leave you without breath. That’s why this frappuccino is a favorite drink for so many people. This frappuccino is not just ice-coffee it can also be and a sweet snack. The recipe is low-carb, high-fat, gluten-free, and grain-free. We use here a coffee ice cubes because we do not want to ruin the coffee taste. But if you do not have them you can use ice-cubes.